Total joint replacement surgery is a process that will eventually make a person's life easier, but it is going to take some hard work. 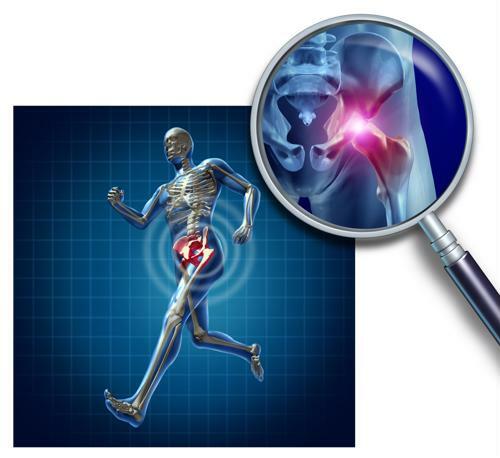 Opting to go through with such a surgical procedure is no small thing, and after a person has fully recovered, he or she will be relieved of the pain that the old hip caused. The American Academy of Orthopaedic Surgeons suggests that hip replacement patients enlist a partner who can help them through the recovery process, as the patient works up to being able to perform all the old tasks he or she could previously do. According to the National Institute of Arthritis and Musculoskeletal and Skin Diseases, 27 million Americans over 25 have osteoarthritis, which is one motive for people seek hip replacement surgery. There are many reasons a person may need a new hip, including osteoarthritis, also known as wear and tear arthritis. According to NIAMS, osteoarthritis can come happen very fast or it can take years to take hold and sideline a person. The intensity also varies from person to person, with some people experiencing relatively benign symptoms, and others suffering from a great deal of pain. After a person has gone through a total hip replacement, he or she will be limited as far as everyday activities are concerned. This surgery requires that a person learn how to bend over in a new way in order to keep the new hip healthy, according to the AAOS. While a person is still recovering in the hospital, it is important not to lose sight of the fact that a major surgery has just occurred. That being the case, it is recommended by the AAOS that people take it easy after the operation, but not stay completely sedentary, as this can lead to the formation of blood clots in one's leg veins. During the hospital stay, the patient will be surrounded by doctors, physical therapists and occupational therapists. It is important to take advantage of these valuable resources while they are at the immediate disposal of the patient, as educating oneself early in the healing process will help things go more smoothly as progress continues. These professionals can offer advice on post-surgery exercise after discharge, diet and wound care. Pain management is integral to recovering from any surgery, and even those with an aversion to pain medication are going to need it after a procedure such as total joint replacement.